Category: Books, Religion and Spirituality, Self Help & Personal Development Tags: Conciousness, Contemplation, Englightenment, prayer, self-development, self-help. Prayer and contemplation access the deepest aspect of ourselves, allowing us to radically transform our lives and the world; the deeper the reflection, the more we can be stirred to action. 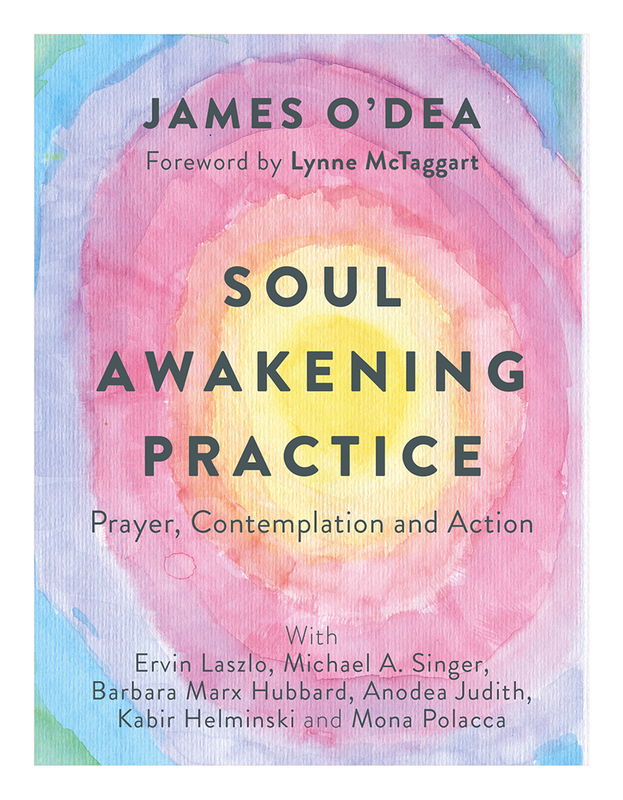 Using a beautiful six-line prayer as a springboard, thought leader and activist James O’Dea lifts us into page after page of poetic contemplative reflections that illuminate our understanding of the soul s long awakening journey; the forces that open the heart and enlighten consciousness; the understandings and actions that dissolve wounds and secure lasting peace. What unfolds is a framework of unparalleled clarity, integrating sacred practice, wisdom teachings, science and conscious activism with essays from outstanding spiritual leaders and thinkers, including Barbara Marx Hubbard on soul awakening; Michael Singer on wounds dissolving; Ervin László on light shining; and Hopi elder Mona Polacca on peace radiating.